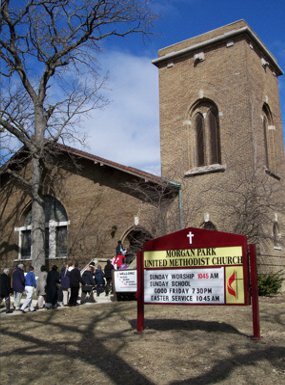 It was more than 125 years ago, in a movement led by Dr. William German and his wife Annie, that Methodism came officially to Morgan Park. The area’s early settlers had been part of a three point Methodist Circuit during the 1860’s, meeting in the first schoolhouse on 95th Street. Dr. German convinced the Methodist Bishop that this tiny new village of Morgan Park could support another church. The first service was on Sunday, May 22, 1887. He described the early members as a small group of people of no experience, small resources and doubtful prospects, but of boundless enthusiasm and invincible faith. 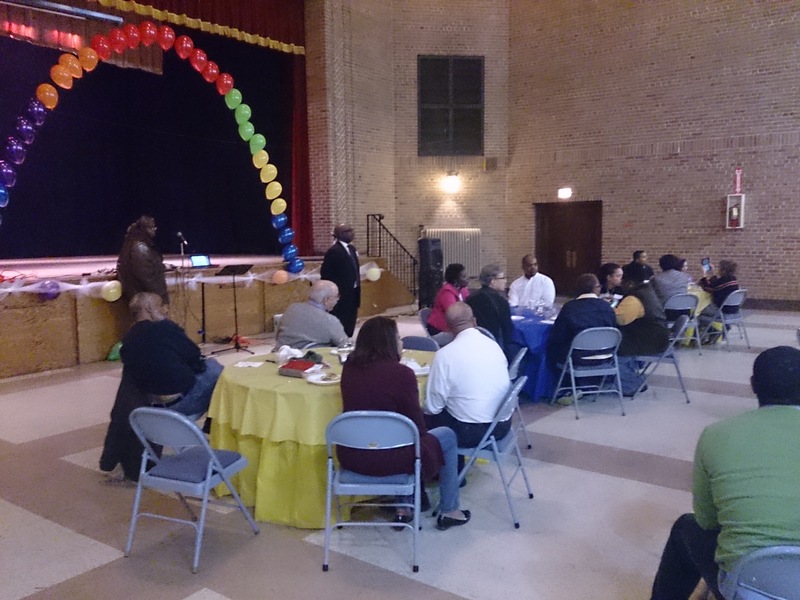 The community of Morgan Park developed. So did the Methodist movement, and by 1912, the congregation numbered 350. They marked the 25th anniversary by laying the cornerstone of a new building at the corner of Arlington and Longwood Drive. Harry Hale Waterman, the village architect, designed a fine Prairie Style building, with curving pews arranged beneath the soft light of a stained glass dome. Art nouveau windows were given in memory of early residents. In those days, social life revolved around the church. 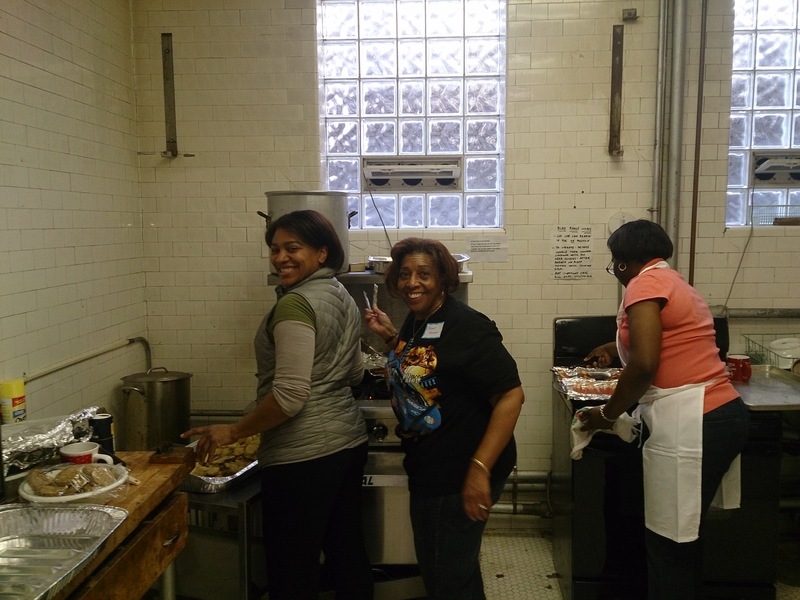 As many as 300 neighbors came for weekly suppers with study classes for all ages following. In 1924, a special service was held to celebrate attaining a membership of 1000. More space was needed. The architects Perkins, Fellows and Hamilton were engaged to design the new church house, extending the original building toward 110th St. in 1926. The Depression years were clouded by the great financial burden that threatened the church, but its spiritual life flourished. Movies in the Great Hall had become the weekly dinner entertainment. Collecting clothing for the needy and raising funds to pay for coal and food for the unemployed became priorities. Attendance for Sunday School classes of all ages averaged 500. Rev. Ray Bond and youth director Glenn Harding brought innovative worship and continuing outreach during the War years. Teens were welcomed to a High School Canteen, and Scouting was strongly developed. Concerns over longstanding racial polarization led Rev. Bond and Harding to be outspoken brotherhood advocates in the community and they were instrumental in forming the local Human Relations Council. In 1962, a week of music, preaching and social events marked the 75th Jubilee. The community was beginning its first social change: from Protestant to Catholic. The prominent business class who had built the homes and supported the vast Protestant houses of worship began to leave for the suburbs, and their children had not taken their places. Suddenly Catholic churches were bursting and Protestants were looking for creative ways to use (and heat) empty spaces. Soon after Martin Deppe became pastor in 1974, the black families of girls already involved in our Girl Scout troop felt welcome to visit the church service and remained to become members. 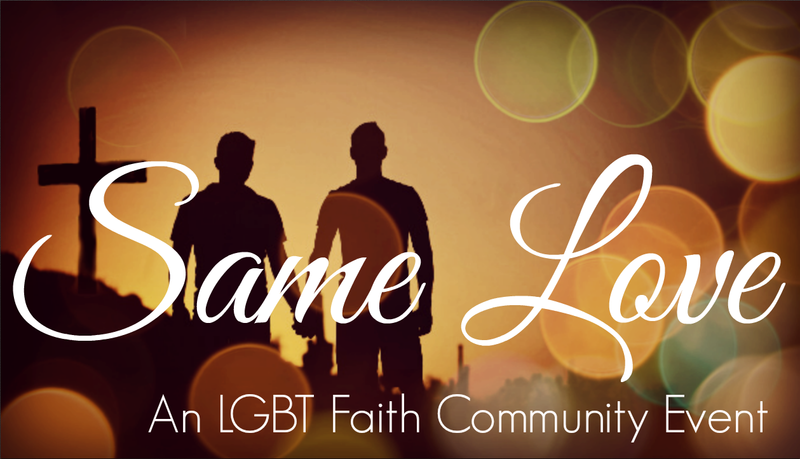 “Looking for a Christian home,” says Rev. Deppe, “they found a Spirit of Openness.” Those young women are now professionals with graduate degrees. Community outreach took on a new purpose. Stewardship of a building too unwieldy for a reduced congregation to maintain became an urgent focus. 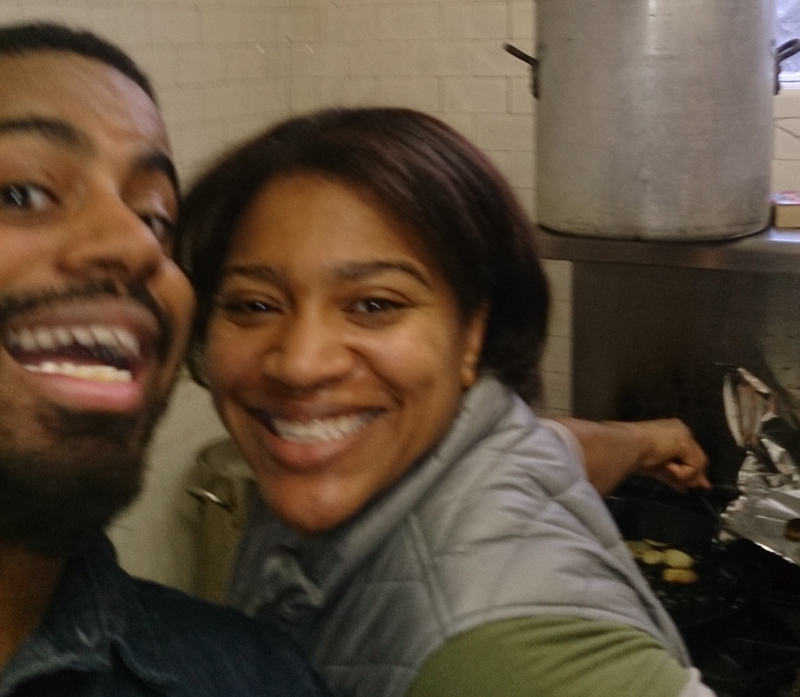 Now outreach had to serve a practical purpose — to be income producing as well as people serving. Good Samaritan Lutheran lived in our Chapel for 20 years, then came the Mormons, and now it is Eternal Life Congregation, worshipping in the Chapel. Others who occupy the building include Jazzercise, the Maple-Morgan Park Food Pantry, Council Oak Montessori School, Irish dancers, and various athletic and meeting groups.